Like many things in life, operating a boat for the first time can be a frightening prospect. This is especially true when the vessel doesn’t belong to you. However, the digital age has made it incredibly simple to learn how to do just about anything. With just a few keystrokes and a little time, you and your family can be more than prepared for a great day on the lake before you even leave the house. Long gone are the days of making your way to the local library to search for outdated materials on dusty shelves. Many magazines offer online editions and these websites usually retain years of past articles just waiting for you to read them. Other sites, such as eHow.com and WikiHow were developed with the sole purpose of educating visitors on just about any subject. 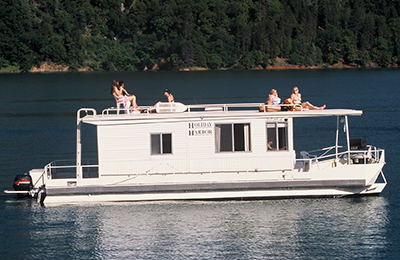 Perusing these sites ahead of booking your boat rentals will give you valuable insight into what to expect from each type of vessel. This research can even give you an idea of your own capabilities so as to avoid renting a boat that you aren’t able to handle safely. Another go-to for learning just about anything is to watch videos created by others who have chosen to share their experiences with others. YouTube has become a force in the world of user-submitted videos and there you will find both serious as well as comical videos portraying tips, tricks, and the rules of boating on inland waterways. Watching videos related to boat operation can be a fun family experience, especially the humorous uploads. No matter the genre, in the end, you, your spouse, and your children will have easily learned how to operate a boat and navigate your chosen waterway. The operation of boats large and small is a centuries-old practice that has been taken up by just about every nation in the world. Due to the age and worldly nature of shipping, the language used by crews barely resembles that of any one culture. Getting to know the verbiage used while operating boats is not only fun but can make everyone feel like a pirate. Online glossary websites are incredibly easy to scan and the use of flashcards or games as a family can make learning this new language a great bonding activity. Unsurprisingly, these past years have seen an increase in the number of states that require, or will soon require, boat operators to complete a course in their safe use. Just this year, for example, California began requiring anyone under 20-years-old to obtain a Boater Card. Just as easy as studying for a driver’s license, the boater safety manual is available online and at your local department of motor vehicles. There is nothing that says you must be underage, or even old enough, to study these materials in order to gain this very valuable and life-saving knowledge. Aside from the numerous informative videos, articles, websites, and glossaries that help you learn what you should do when operating boats, there are nearly as many films that will teach you in no uncertain terms what you should not do on the lake. Dead Calm (1989) will remind you not to pick up hitchhikers, even if they’ve just escaped a sinking ship. Released in 2003, Open Water taught movie-goers that it’s never a good idea to disembark without first ensuring the vessel is securely tied-out or anchored. Not to mention Captain Ron and his lessons in everything you shouldn’t do with a boat. It’s never a good idea to embark on a new adventure without a little knowledge about what you’re getting into beforehand. If you have never had the opportunity to learn boat operation through experience, you will certainly want to take the time to do some research before you book your next boat rental.